American Memorial Life Insurance Company, a part of Assurant Solutions, began serving families in 1959 and is based in Rapid City, South Dakota. The company is a leading provider of specialized insurance products, extended service contracts and other risk management solutions. American Memorial Life Insurance Company provides pre-arranged funeral captive insurance. The company sells its products through funeral homes, select marketing groups and Purple Cross, its own agency, and is partnered with the largest funeral home organization in North America, Service Corporation International (SCI). The company was formerly known as Prairie States Life Insurance Company and changed its name to American Memorial Life Insurance Company in February 1996. 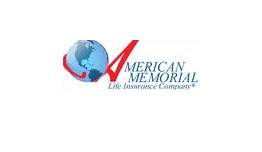 American Memorial Life is rated “A-” (Excellent) by the A.M. Best Company.